First a 'support the cause' opportunity. 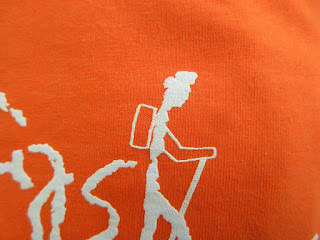 Like this t-shirt? I'll send you one in exchange for your support of my continuing treks. 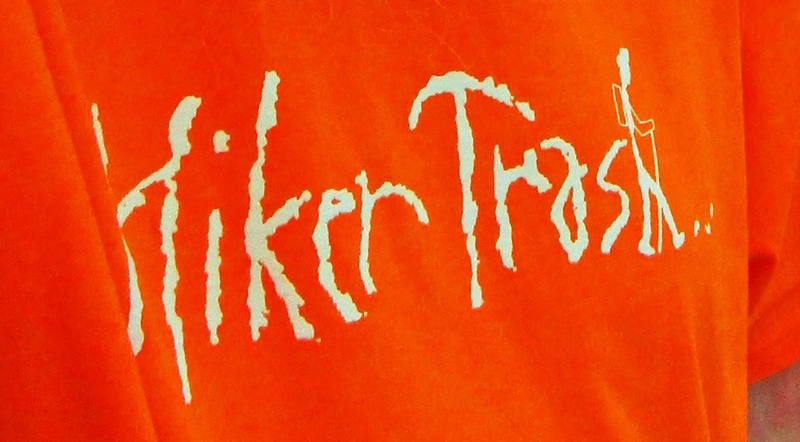 There are a bunch of Hiker Trash t-shirts out there, but this is one I designed myself. 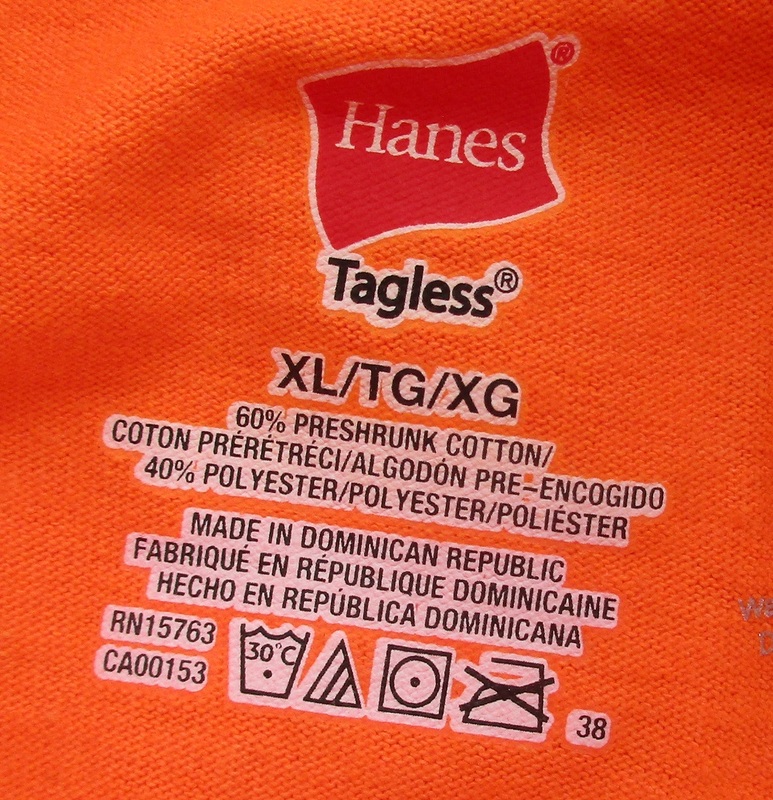 I have some of these available to distribute in sizes Men's S, M, L, XL. If you would like one, send a donation of $25, details below. 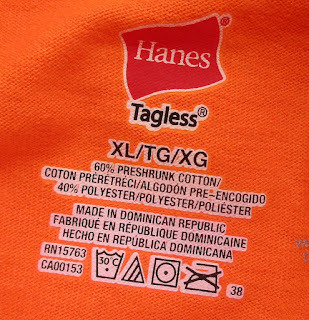 The only color I have right now is the hunter orange. 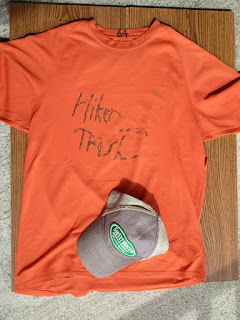 If I'm out hiking it may take a few weeks before I can send it out. It will be sent by USPS Priority Mail with tracking. Coming soon - the seventh book. The story that wraps everything up. Started, November 1, 2018 as a National Novel Writing Month project, and as of the end of the month the first draft is nearly done. If you read the “Paradox” page (the tab immediately to the left of this one), you’ll find that I’ve developed a fairly complete speculative theory of how our universe came to be, where it came from, and even where it’s going. Although it is unproven speculation, I don't think of it as a myth because it should all eventually be demonstrated through observational evidence. I developed it based on my best understanding of Physics and of the nature of our real world. Still, it does lend itself to a wonderful, complex mythopoeia—a fictional origin story complete with Gods and an epic human quest. I've had that story rattling around in my head since the late 1960’s and it wouldn’t go away. As time went along, the goal of really actually writing that story found its way to the top of my bucket list. I wrote a whole bunch in the late 1980's and I resumed working on it in earnest after I retired. When I entered the first 20,000 words in the Maryland Writer’s Association novel contest a few years ago, it won third place in the Science Fiction/Fantasy category, and that was impetus enough for me to finish it and publish it. It turned out to be a long story, six books worth so far. You'll find links below where you can buy them. For successful writers, publishing a book is not the end of their work, but the beginning. Tireless promotion is the real key to success for virtually every writer I've ever heard about. What I did was write it. What I haven’t done enough of is promote it, except for here. There are a whole raft of other things higher on my bucket list, at least for now. But I haven’t finished with this story yet. There is a seventh book that I’ve promised to one of my readers—Frank Looper, whose comments you will find below. 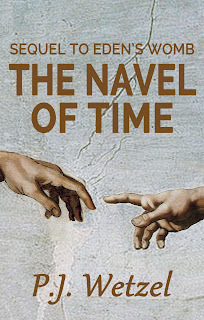 As currently outlined, this sequel will require adding a whole new layer to the first six books. I have it in mind, as another bucket list item, to go back to college and get an MFA in creative writing once my hiking days come to an end. So, assuming I succeed at that, the story is going to get a ‘professional’ makeover. Also on my bucket list is to write a couple non-fiction books about hiking. Watch this tab for those, too. But for now, what I have to offer is the completed and polished ‘first edition’ of the origin story of a fictional version of our real universe. I call it ‘Eden’s Womb.’ Below is the blurb and links to buy the books. An epic sci-fi/fantasy tale set in the far distant future. Homo sapiens has disappeared. Six successor species vie for control of the planet. Up in Heaven, the spirit world is disrupted by the unexpected return of the long-absent mega-spirit Naja. who she hopes will do her bidding and rescue his dwindling species from imminent extinction. But neither Adam, nor many of his Ancestor spirits are cooperating. Naja is growing increasingly desperate. the entire universe would be destroyed. 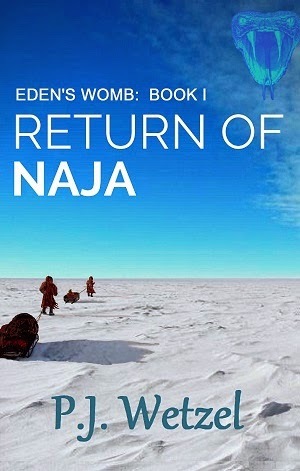 Return of Naja: e-book for Kindle, 99 cents. 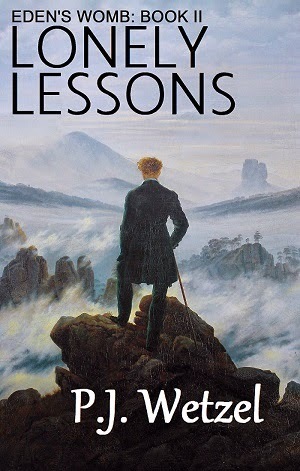 Lonely Lessons: e-book for Kindle, 99 cents. 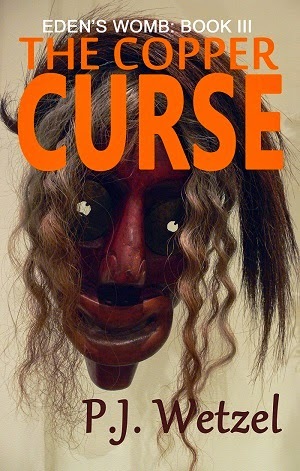 The Copper Curse: e-book for Kindle, 99 cents. 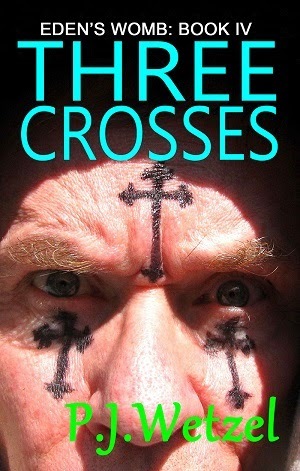 Three Crosses: e-book for Kindle, 99 cents. The Preserve: e-book for Kindle, 99 cents. Through Heaven's Gate: e-book for Kindle, 99 cents. 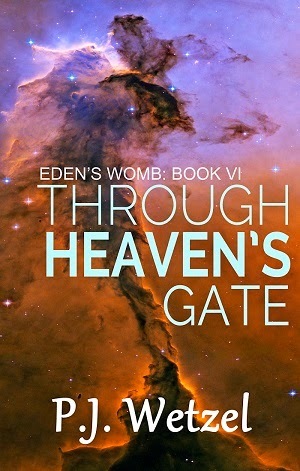 The six books of the Eden’s Womb tale are really one immense story, so don't expect closure at the end of each book. Many plot lines are left unresolved until the big climax at the end of Book VI. In the first book, Return of Naja we are introduced to the Goddess/Spirit named Naja who takes the form of a serpent and calls herself 'StrongMother'. She claims she gave birth to the universe - big claim. She scoffs at the Judeo-Christian 'God', declaring that he can't be the Creator because "Whoever heard of a man giving birth to anything, let alone a universe?" She claims that this God, Yahweh, is actually the fallen Angel we know as Satan, that he gave her the image problem when he cursed the serpent for giving Eve the fruit of knowledge. 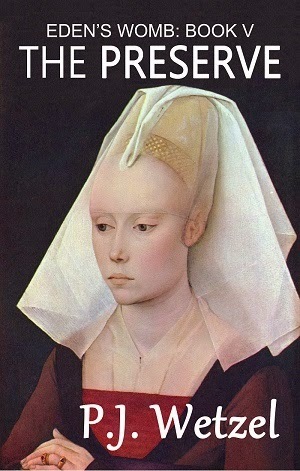 She claims that the fruit was essential to the full functioning of a meaningful universe. (It would be boring without free will.) And she backs up her claim by noting that God set this trap in the middle of the Garden of Eden knowing full well that humans would take the bait, and yet God refuses to take responsibility for the resulting 'Fall'. 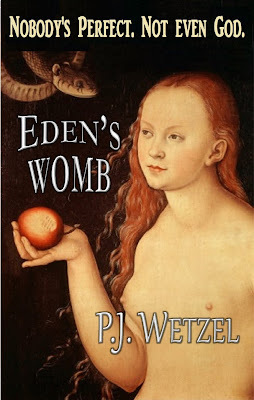 In 'Eden's Womb' the real 'God' - the 'Big Guy' - appears to stand aside and let this upstart Naja have her way. After all, the 'My God is bigger than your God' sort of ultimate God doesn't have the existential angst that Naja seems to have. Meanwhile we have a young mortal human, just seventeen, who is privy to all the debate and consternation going on in the Pantheon of the Gods/Angels. Adam can hear every one of their voices. Unfortunately he can't filter their conflicting messages, so they're driving him crazy. The main message is clear enough though. This God called Naja wants him to become 'King of the Universe.' His reaction: "If somebody came to you claiming that they were hearing voices in their head, and that those voices were telling him that he is King of the Universe, would you believe him?" Of course not. Problem is, this time it’s the truth. Adam knows he’s not a lunatic. He even accepts that the voices are the real voices of the Gods. But still he rejects it all. All he wants is to be normal and to have the Gods leave him alone. But Naja isn't going to take 'no' for an answer. So … this sets the stage for some fun, some exploration of my ideas of cosmic origins, and a story of a good old fashioned cross-country hike—as Adam finds himself forced to pursue Naja’s demands that he save humanity from extinction and rescue the dying universe itself. Enjoy - and don't be shy. Let me know what you think. Your input can make a difference, as Frank Looper’s did. There will be updates, second editions, as I intend to tweak some plot elements, add some additional detail, appendices, etc. Just checking in periodically as to how your writing journey is doing. Who does your book covers? These covers are my own production. I decided to get all six at once. Sci-fi/Fantasy series from a hiker seems like a safe bet! 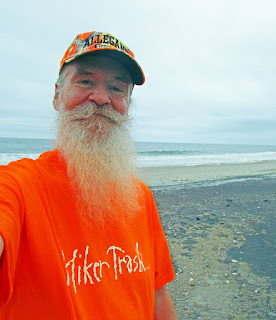 This is Nightwalker/Frank Looper, BTW, a new friend on Facebook. I'm looking forward to the read! Hey Nightwalker - thanks a bunch! You'll find that there's an AT connection in the books. More than just the setting of the city of 'DunCanon', some of the action takes place on the distant future Appalachian Trail. That's in Book Six. Enjoy.